or even clouds, or trees. 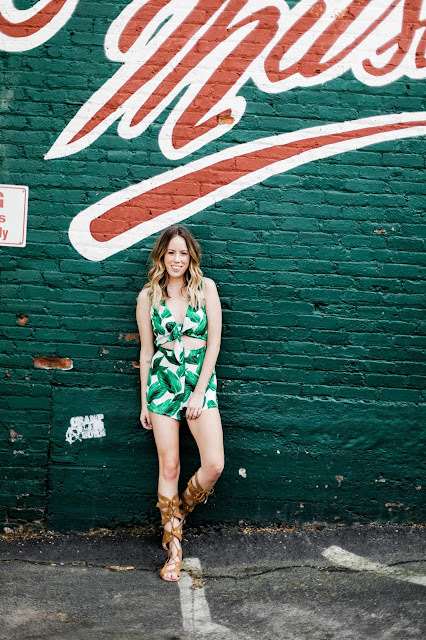 Shop this romper and my other favorite palm leaf prints below! I'm in love with anything leaf print lately and this is no exception!! Love it!